Information presented in this document will help managers and employees of educational institutions in the Republic of Tajikistan to create favorable conditions for training, support and protection of students and educators living with HIV or affected by the HIV epidemic. 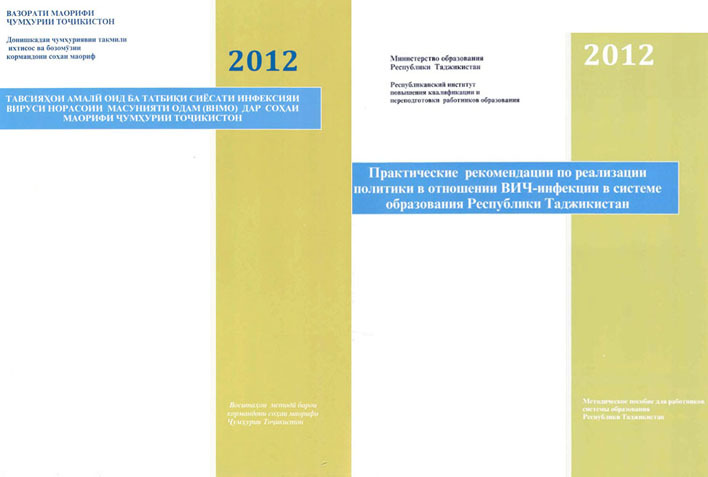 The document provides practical advices for organizing prevention education to stave off the further spread of the epidemic and reduce stigmatization and discrimination against people living with HIV, as well as for providing psychological, support and social protection of people with HIV in the educational system. Adaptation was made with technical and financial support of the UNESCO Almaty Office.